Heavenly blog! : No. 749: What I've Learned tricky, difficult and sometimes evil and deceived "Christians"! No. 749: What I've Learned tricky, difficult and sometimes evil and deceived "Christians"! What I've Learned tricky, difficult and sometimes evil and deceived "Christians"! Lack of social skills? This is of course nonsense. John the Baptist showed the risk of his life he preached repentance message, and King Herod whacked him by making short shrift. Head was chopped off! Afterwards, Jesus asked John. Yes, he lacks social skills, he did not know better. How did the vast majority of "Christians" black. But God's son said he was the greatest born under the law, second only to himself! Throughout my Christian faced difficult and treacherous people. But we must distinguish between those who do not get it, as trying as best they can, but is not enough. And those who are evil and deceived and deceives others. Preacher Finn Arne Lauvås is the last group I mentioned deceived himself and deceives others. Can not bear to be contradicted and corrected. Driver with replacement theology, and when he is confronted with this, he is furious and angry. Not good to be a preacher, but it is the flesh and the demons that trigger such persons. First, the distinction between those who are offending and those who are manipulative. I have my many years as a believer and preacher taught me eventually to treat people different. I attack for example. never publicly ordinary church members, only government ministers and those with confidence duties. I am sincere, balance and keeps me issue and not the person. But of course, when a minister living in adultery, then really matter and a person. Remarriage or marry a divorced teacher font is adultery, therefore it is appropriate, right and proper that the relevant ministers are also being treated in public. But there is something strange, they are re-married a Christian and living in sin. They remain anonymous and in the background mostly, but not re-married, but who are evil and dangerous people, defending their sin, both directly and indirectly my experience. I have met many direct evil and dangerous people. Some have set out to be Christians. Some have been, but fell from. They have in common that they have a damaged mental life, and in the spirit realm they are completely bewildered. Recently, I met someone who has written on this blog too, but that seems to be heavily infiltrated by evil spirits and a temper like no other. I'm talking about the evil Bjørn Johansen Storm. He associates himself with those who are divorced and gjengiftede, but strangely enough. He's not himself. Can a grasp on these? Sky such people as the evil is my clear advice. When debates go on to become pure bully and smear campaigns! There is something demonic and ugly of Christendom. I have repeatedly seen that I've put other people "fixed". And how do they respond? Humble themselves and pray for forgiveness? No, they go over directly to bully and defame one. Finn Arne Lauvås bullied me on Facebook when I put him firmly regarding Israel question. He said, among other things else that I was so carnal that he would have drowned me when he baptized me. To the thunderous applause of his disciples on Facebook. How could I have still many other examples. In my confrontation Searchlight same thing happened, from the discussion that went into pure bullying and the lying! I was in the summer of Searchlight to discussing several spiritual questions that remarriage, the Trinity, and more. I put the firm in total. But what happened? They went over to let the flesh and the demons gain control them after they had the opportunity to put myself stuck on some points. Who does the such? Of course we have to go out in that most are not saved. Here are some good examples of pure bullying and harassment of me, this is the kindest posts. But this is of course the flesh and the demons that trigger these people! Dear Jan Kåre, in connection with the new blog, I have some suggestions for a new name. Hope they are helpful. Hope they were to help Jan Kåre! Good night! 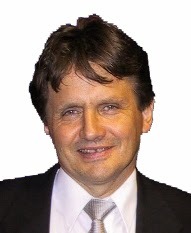 Jan Kåre Christensen blogs and runs the website of the church Smyrna Oslo, though the church is a somewhat imprecise terminology since it does not consist of other members except Jan Kåre family. This blog will identify to free speech with the matters relating to defamation or infringement of others' integrity. Jan Kåre are free to raljere with church leaders and others. without causing other consequences than just the fact that someone is infringing on the coarsest. Jan Kåre located partly in its own universe where truths are formed in a mental life which obviously has some significant shortcomings in terms of empathy and other interpersonal skills. He is free in his blog to define both the one and the other. He can afford to call respected church leaders for quote; "Whore buck". This could have in itself been somewhat okay if those persons were taken with the pants in the lower position in one of Oslo's more seedy areas, yet is totally doing ok to hang out people this way regardless of their actions. Jan Kåre even claims to be a gift to Christians in Norway and abroad in terms of his revelations and Bible knowledge. My great fascination for such people is the degree of innesnøddhet. How can one avoid correctives and regulation from the outside world completely unaffected? This is beyond my comprehension, while I have knowledge of conditions and diagnoses that can provide an approach to the outside world. What worries me more with such people is that they have kids and spouse. How did they do it with a man who espouse views as to the degree diverges with the normal sense of the world around us? How to handle children an understanding and social skills that are completely incompatible with the rest of society? I will now follow in January Kåres blog and website, to document and comment on anything that gives me both fascination and sense of disgust. Fascination of something so diametrically different. Aversion to the opinions and values ​​advocated by Jan Kåre. There is something of duality for my own part, I triggered to blog a bit about. Christensen is fused and it just gets ridiculous when he again and again resort to the old story. You gave many a good laugh when Torodd, and I think many have gotten a good laugh out of it all curled around Christensen. In many ways, Christensen now become fused and I think most people now understand that there is something like an honor to be featured on Heavenly blog. All this is of course cyberbullying, but I have become fused whatever is meant by that? Of course this is nonsense and nonsense. Everything just goes on to ridicule and discard me when I've done it countless times first with them. But here it goes over the bullying, the lying and smear me even to "climb" up on the high horse as a sat on before began to debate with me. It is not easy for narcissistic and evil people to come by from their high horse when they go in only. This made Paul before he was saved, and then called Saul, and Saul was. I am aware that there are certain Max 1% of the population who think and believe like me in moral and ethical questions. And among people of faith, it is probably not so many more. I believe in the word of God if you are believers who divorced and re-married, then as a Christian. When one lives in adultery. Ergo, to get out of it is the only way out. It is to desist in his "new" spouse. And either live single or be reconciled to her right and the first spouse. This here writing a Pentecostal preacher, according to Searchlight. And all the witness testifies about a thing. It is the person responsible for Balaam's life and teachings. himmelsk_blogg2forgjengelighetens law which means that we fail and die. And this also applies to us who preach the gospel. It is possible to be solved (by divorce) from the marriage and then open up the word of God for remarriage, said the minister referring to this: "Divorce should be the absolute last resort after all other expedients have been tried. In some cases, declaring God people are free to remarry. However, it is important to cooperate with the Creator himself, so that "Father" is not included on the bandwagon, but that one really has a new start. "Even us who are preachers and in active service needs a fresh start in life," and when Christensen easy raljerer of us who are divorced and remarried, he does not know the reasons why our marriage cracked. In my case, my ex against me continued the mission and when I chose to be obedient to the heavenly call, she went from me, "I was thus relieved of marriage and God's word also says" it is not good man to be alone, "then why did God give me a new wife who supports wholeheartedly my preaching mission," says the preacher who believes Christensen solely looking to speak evil of them him when up to be. Christensen is just envious of us who collect hundreds of meetings and revivals experience and rich times of the Lord, "the minister believes that even remarried a few years ago. (end of quote). No scripture says, he is not fixed in any way, but bound to that person dies. Rooms. 7 2 A married woman is bound by the law to her husband so long as he lives. But if her husband dies, she is released from the law of her husband. 3 So she regards as adultery if she marries another man while living. But if her husband dies, she is free from that law no adulteress if she marries another. How long shall I suffer you said Jesus. My experience is to see people the way. Is it wrong to people? Or is there evil people? The faulting and who do not receive it we will help get both one and two mil extra with them. But the tricky and painful it is important to warn sometimes, so they have the opportunity to repent and if possible go in themselves. The evil people that I have met on the sucking power, energy and the basis of a. Therefore it is also to protect themselves from these evil people. I have many a time tried to warn, but unfortunately. Is first entered on the wrong track, it will very much to come of it. It must be a miracle of God to my experience! 2 Tim. 2 14 This should remind you of, and for God's face should you require them to avoid war of words. It does not serve to anything and destructive to those who hear. 15 Replace every effort to get your sample to God! Be a workman with nothing to be ashamed of, but that presents the word of truth in the right way. 16 Turn your back to the wicked and empty talk. For those who say such things only go further and further in ungodliness, 17 and their word will spread like gangrene. Among them are Hymeneos and Filetos, 18, ​​who has strayed from the truth. For they say that the resurrection has already happened, and they break down the faith of the people. 19 Nevertheless the foundation of God stands firm, and it is sealed with this inscription: "The Lord knows His," and, "Everyone who confesses the name of Jehovah, must turn away from evil." 20 In a large house there are not only vessels of gold and silver but also of wood and clay, the first good use and the other to dishonor. 21 He who purifies himself and stay away from such things, a man of great use, consecrated and useful to the master, prepared for every good work. Notice just like Finn Arne Lauvås, Bjørn Johansen Storm and many others, can really only put their names on the heresies which was also among the first Christians. Today they called Andersen, Åleskjær, Lauvås, Johansen. And among the early Christians here they Hymeneos and Filetos. The world has fundamentally not changed, it is the story which repeats itself!